The red coloured rose is without question the most classic of all the roses. Because roses are such long lasting depictions of love, it’s no wonder they’re are among the most cherished gifts of all. Of course now days, there are many colour variants for roses – so how do we find the right colour for the right occasion? Red is never the wrong colour for a rose as it’s the original and for sure the most common – but you could pick another colour to indicate your individuality. Yellow roses are perfect for sending happy messages because they highlight friendship. The warmth shows delight and joy. Yellow roses are just great gifts to say, “Thanks” and “Get better”. Red roses we all know mean love, in fact they scream it. 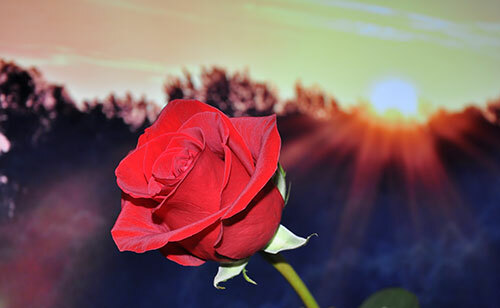 A red rose is one of the all-time desired gifts. And admiration and is expressed perfectly with red roses. You’d find it hard to aquire a more well-loved and simply classic present that is appreciated by so many. White roses have long been considered the ideal gift for when you attend a wedding. They are the traditional colour for bridal roses. White roses are also connected with purity and thoughtfulness and that’s alo why they are used so often for memorialsso they are appropriate for memorials. To send wishes for an abundant life, the green roses are just the ticket. Green roses are a classic rose for health and to wish success business and in life.